A boat full of refugees approaches a cruise ship in the Mediterranean, exposing layers of different experience from bridge to steerage. 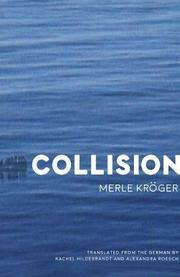 The first novel translated in English by the German novelist and filmmaker Kröger takes place mostly on and near The Spirit of Europe, where an inflatable raft full of “children of the Black Decade” (Algerian refugees escaping the wreckage of the civil war there) have arrived, hoping for sanctuary in Europe. The ensuing story is built on vignettes featuring various players in the drama. A Nepalese woman working security on the ship is pining for a Filipino colleague who’s paid so poorly by the ship he prostitutes himself to women, prompting a did-he-jump-or-was-he-pushed trip overboard. A Syrian stowaway wonders what the new arrivals mean for his own fate. An Irish tourist videotapes the activity and recalls the divisiveness in Ireland during the Troubles. And the ship’s leadership hustles to find authorities to handle the refugees without creating a delay that’ll upset corporate headquarters. “There’s always a ship mixed up with whatever’s happening in the world,” Kröger writes, and though her novel is relatively brief, it does attempt to make that point from a multitude of angles, showing how everyone from governments to traffickers to tourists is implicated in the refugee crisis. (“The Mediterranean is filling up with bodies, like a mass grave, and we continue to go swimming on the weekends.”) The point is sometimes made dryly and ploddingly, though; the book has two translators and sometimes feels like an old-school, Airport-style thriller that couldn’t achieve liftoff. But individual characters shine, particularly Karim, the ferryman who’s trying to find a way to get himself to Spain to reunite with his fiancee, Zohra, separated by a sea that may as well be an ocean. A shipboard thriller with multiple voices, if sometimes a too-similar tone.